Dental implants are an increasingly popular tooth replacement treatment that is becoming widely acknowledged among patients in Gainesville, FL. Thanks to their customization features, dental implants are a permanent fixture that looks and feels as natural as a normal tooth. 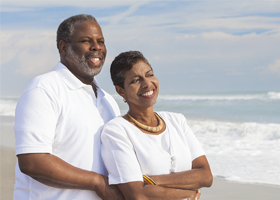 With dental implants, our patients can enjoy a more permanent solution to their tooth loss problem without needing to worry about a loose implant or a change to their habits. Dental implants are made to be as realistic as possible and have left many patients satisfied with their smiles. 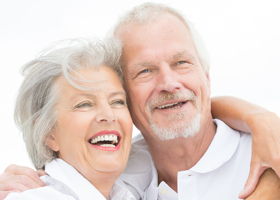 Read more about why patients choose dental implants. On average, the dental implant process can last from four to six months. This number may fluctuate depending on the number of implants that are being placed and if any supplemental procedures are needed. It’s also to ensure that the process of osseointegration takes place. Our patients at Altschuler Periodontic and Implant Center have benefited greatly from the advantages of dental implants. From improvements to oral health to a natural-looking appearance, it’s easy to see why dental implants have become so popular. 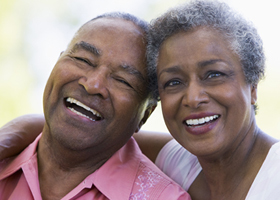 Read more about the benefits of dental implants. 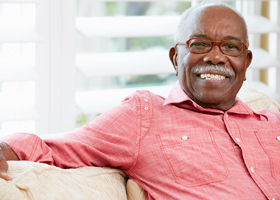 While dentures have been a long-standing solution for replacing teeth, they are not 100% effective. Dentures do little to improve the health of the underlying jawbone, whereas dental implants can both improve oral health and your psychological well-being. 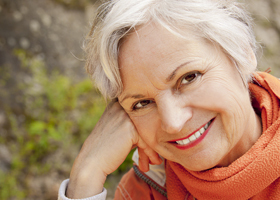 Read more about why patients are opting for dental implants. 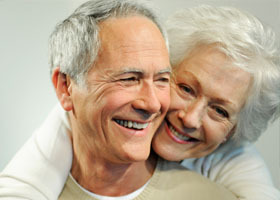 The best candidates for dental implants are those who need it. If you are missing one or more teeth or are at risk of losing teeth, we highly recommend that you schedule a consultation with Dr. Altschuler to determine your candidacy. Read more about what makes a good candidate. If a patient has insufficient jaw support for the dental implants, the implants themselves could fail. Bone grafting is just one such procedure that Dr. Altschuler uses to prepare a patient’s jaw for dental implants, and can be done at the same time as the initial dental implant surgery. Of the many reasons why our patients seek dental implants, tooth decay is often the main culprit behind their tooth loss. We share some warning signs and causes of tooth decay as well as how dental implants can help. Read more about tooth decay and dental implants. If you’re interested in dental implants and are unsure of the first steps, let us help at Altschuler Periodontic and Implant Center. Contact us today with any questions you may have about implants, as well as to schedule a consultation with Dr. Altschuler. During the consultation, Dr. Altschuler will examine your oral health, discuss the best treatment options for you and determine if dental implants are right for you.